OpenCart Order Fetch App builds a connection between your OpenCart Webstore and the inquiry of your Webstore Customers. Affirm the order related details by fetching it from the OpenCart Webstore on the ticket for the validation and avoid fraudulent queries. Why do you need OpenCart App Integration? This app gets the order related details like Order ID, description, quantity, total price, unit price, shipping etc on the ticket directly for the support agent to validate the order and proceed with the resolution. The integration of OpenCart Channel is super easy and takes less amount of time of the customer to integrate. Get the details of any order number belonging to the OpenCart Online Store on the ticket system to boost the support process. How can I provide customer support in OpenCart? 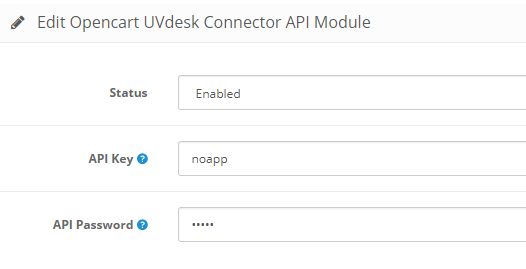 Using UVdesk Help Desk Extension on your OpenCart store you can enhance your customer support experience. With UVdesk, you can provide support through various mediums like social, app and marketplace integration. How can we fetch order from OpenCart store directly on ticket system? 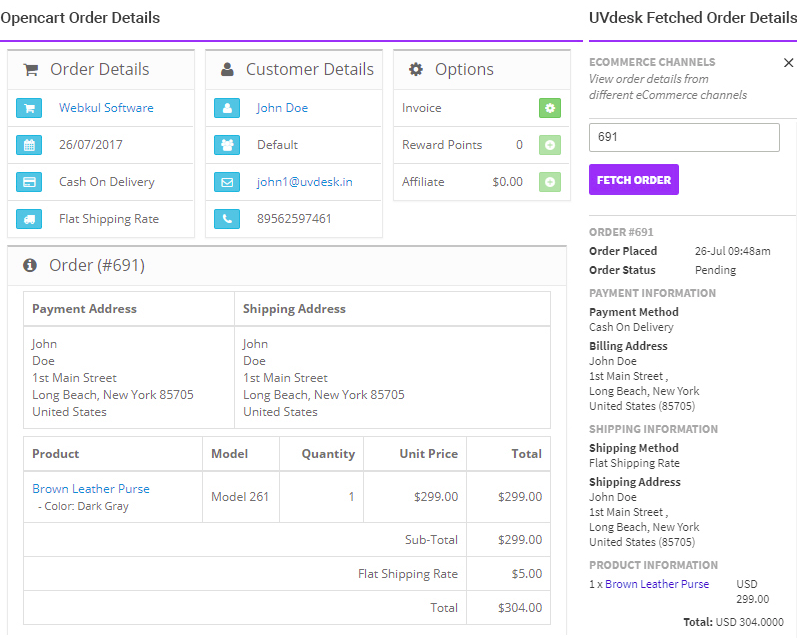 Using OpenCart Order Fetch App, you can easily fetch order related details on UVdesk ticket system. 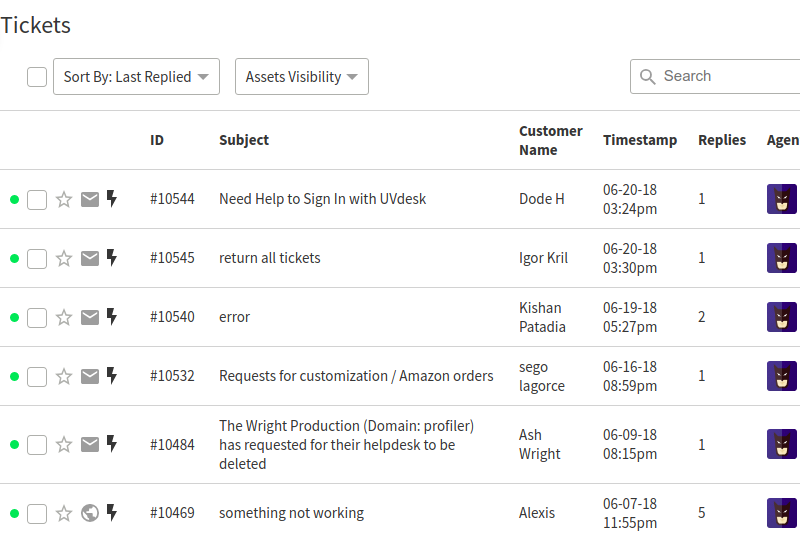 How to create helpdesk form in OpenCart? 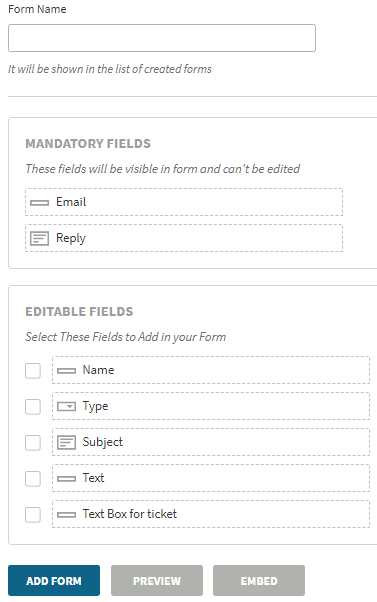 If you are using any standard paid plans of UVdesk, you can use the form builder app to create secure forms and embed it on your OpenCart Webstore. I have configured OpenCart Order Fetch API, but when I am connecting my store, it’s giving me an error “An unexpected error occurred while connecting with your webstore”. Most of the time while configuring the app, the section where API key and API Password needs to be entered, the status remain disabled. Enable that service and then the store will be connected properly.